Honey Sauces, Vinaigrettes, Glazes and Mustards Made with Canadian unpasteurized honey, fruit, vegetables and spices. No added msg, artificial colors or flavours. The Honey Bee Store, Ontario. 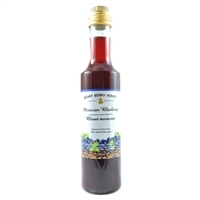 Made with Canadian unpasteurized honey, fruit, vegetables and spices. No added msg, artificial colors or flavours.